The triangle of DoF refers to the three camera settings you have control over to change the DoF or the area of the image that is in focus. Depth of field is the basically the area of the image that is in focus, the greater the DoF the more of the image is in focus. There are three things that impact the DoF these being the Aperture, Focal length of the lens and the distance from the subject. Aperture impacts the DoF by changing what part of the lenses glass the light passes through. 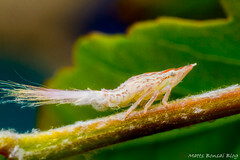 The area of the glass in a lens that allows the image to be in focus is very small. 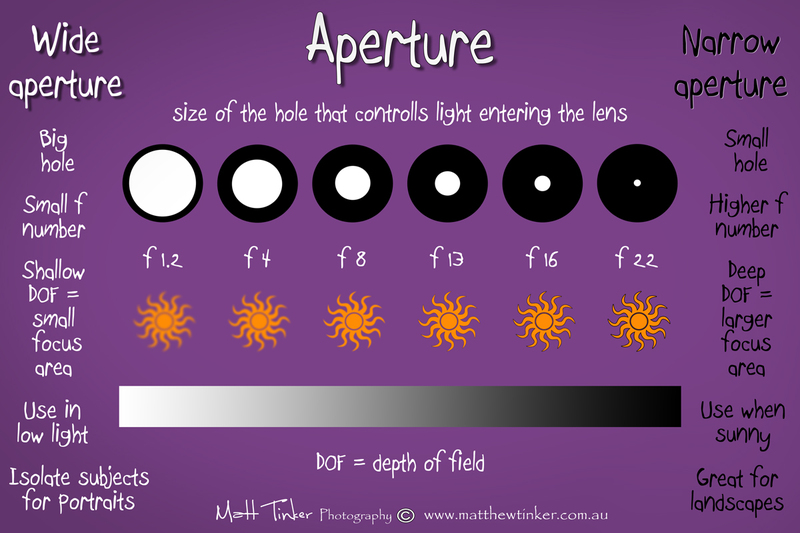 If the aperture is small (high f number) the hole that the light passes through is very small. This results in a great percentage of light that is creating the image passing through the section of glass that focusses the image. This in turn results in more of the image being in focus or a greater DoF. The invers of this is a wider aperture (small f number) allows more of the lenses glass to be used. More light enters the lens but only a part of that light passes through the section of glass that focuses the image which results in a smaller part of the image being in focus or a shallower DoF. Set your camera to AV mode and increase the aperture by dial the aperture or f number down as low as it will go. This will be dependent on the lens you have but you should be able to get down to at least f4. Take an image of something that you can get close to and shoot down the line of the subject i.e. the subject runs away from you and acts like a distance gauge. A fence is perfect for this type of thing. Take the photo and see how much of the image is in focus i.e. how many fence palings are in focus. Now increase the f number (reduce the aperture) and take another image the same as the first. You will see that the image with the wider aperture has less fence palings in focus and inversely the image with the wide aperture has more of the image in focus. * The content contained within the tutorials on Matt Tinker Photography has been provided in good faith and should be considered a general source of information only. All due care is taken when compiling this information, however we do not warrant that this information is accurate, free from omissions or up-to-date including any recent changes. The content does not take into consideration your personal circumstances. You should make your own independent assessment of the information provided and you should not rely solely on this information when making decisions.